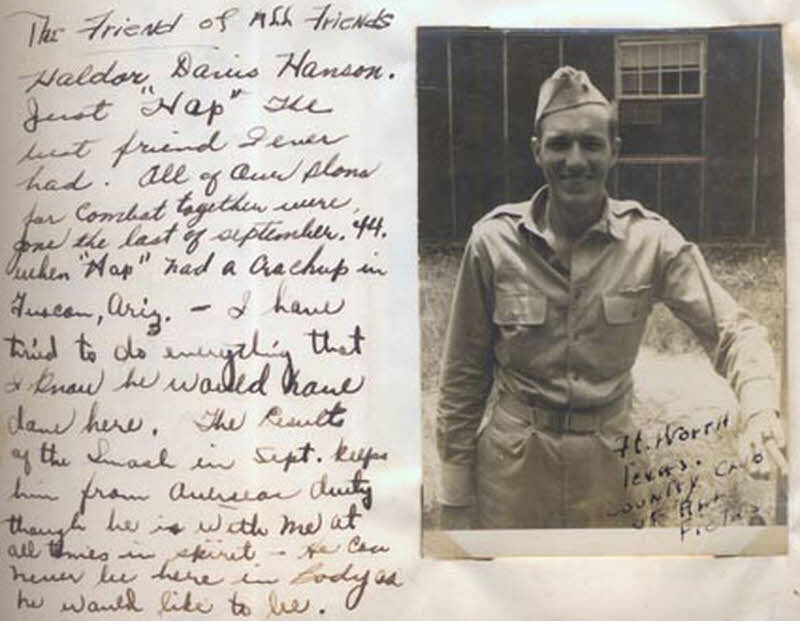 This picture shows Haldon Davies Hanson, a close friend of Lt. Walter Reed Hicks of the 565th Bombardment Squadron, 389th Bombardment Group. Hanson was injured in a training crash, dated here as September 1944. This is certainly an error as Hicks was forced to land his damaged aircraft in Switzerland on 28 June 1944, so the training incident must have occured in September 1943.